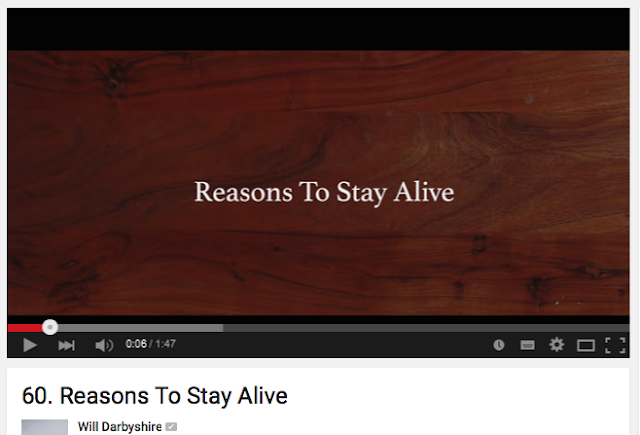 I stumbled across this lovely video by Will Darbyshire, and decided to share it with you. This week hasn't been great. However, instead of asking 'why' I'm depressed, I am trying to focus on 'how' I can improve the symptoms. I worry too much. I don't really know how to stop that from happening, but I'm trying to find ways of zoning out and forgetting about the burden of university deadlines.